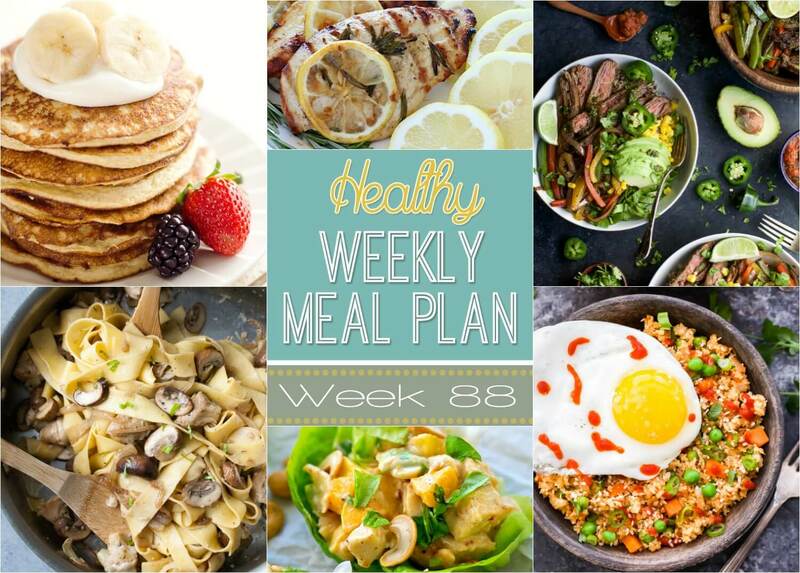 A delicious mix of healthy entrees, snacks and sides make up this Healthy Weekly Meal Plan #88 for an easy week of nutritious meals your family will love! 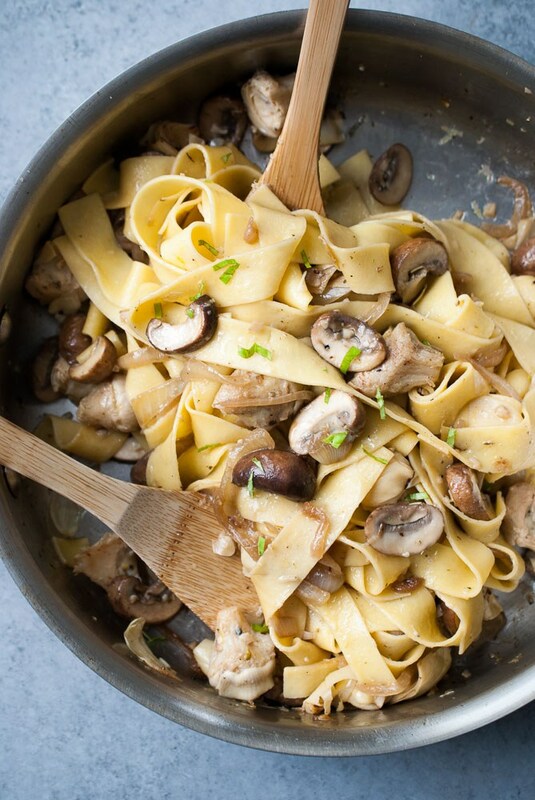 This Grilled Artichoke & Mushroom Lemon Pasta is so simple and absolutely delicious. 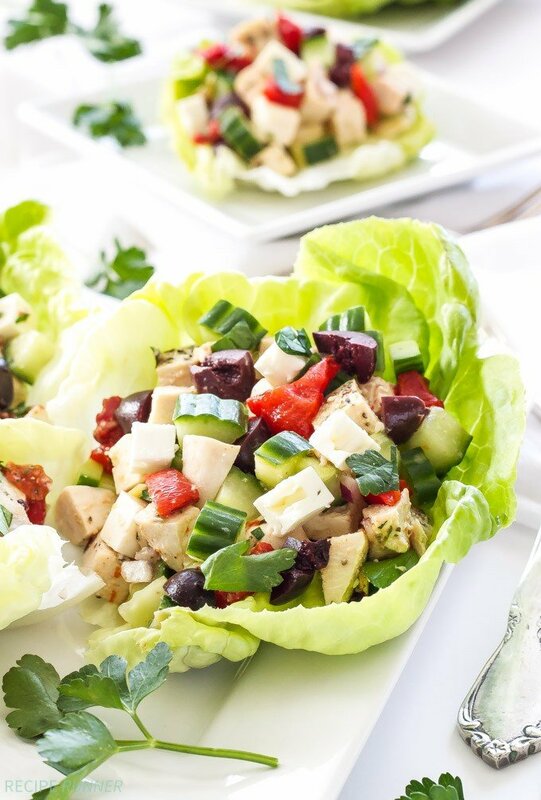 It’s the perfect segway into spring. 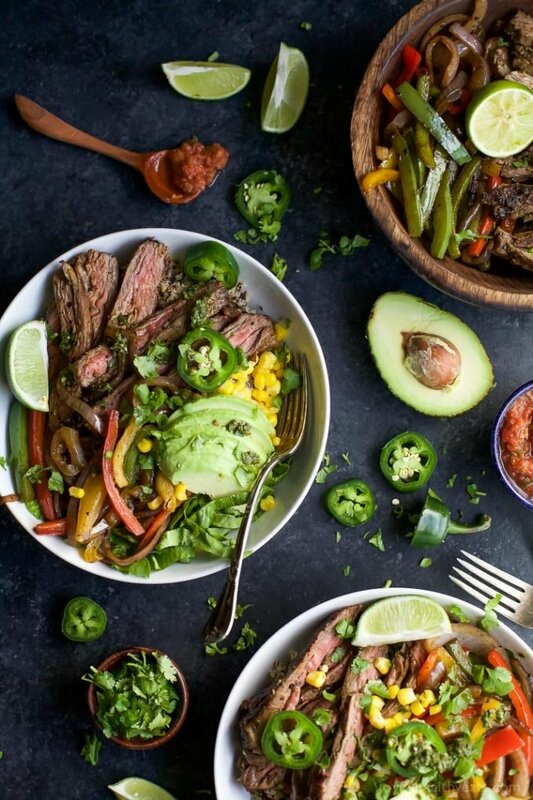 Homemade Steak Fajita Burrito Bowls are filled with quinoa, fajita steak, avocado and a cilantro lime chimichurri sauce you’ll adore. 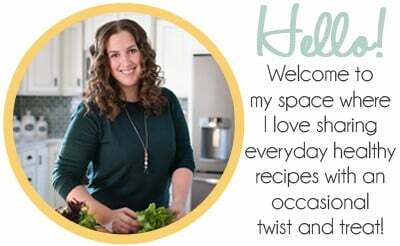 This quick Burrito Bowl is done in 30 minutes and is sure to be a favorite! 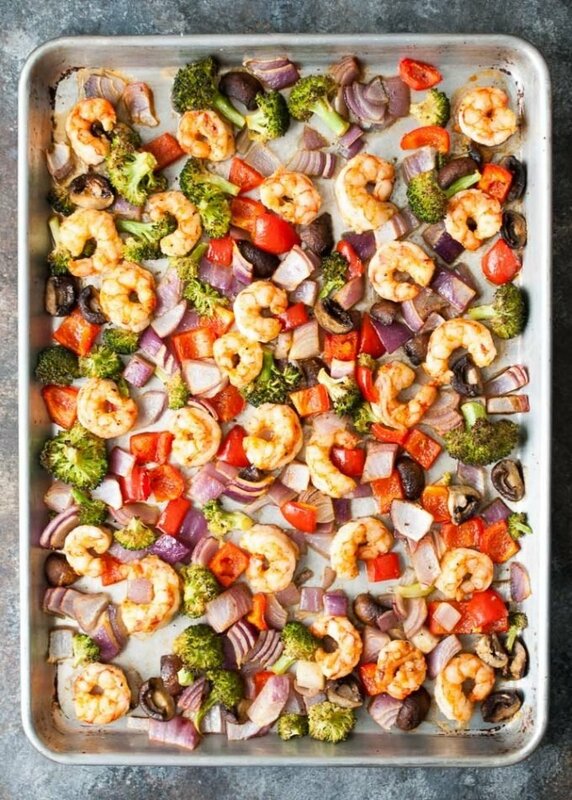 If you want something quick, easy, healthy, and flavorful for dinner, you have to try this Sheet Pan Roasted Shrimp & Veggies! 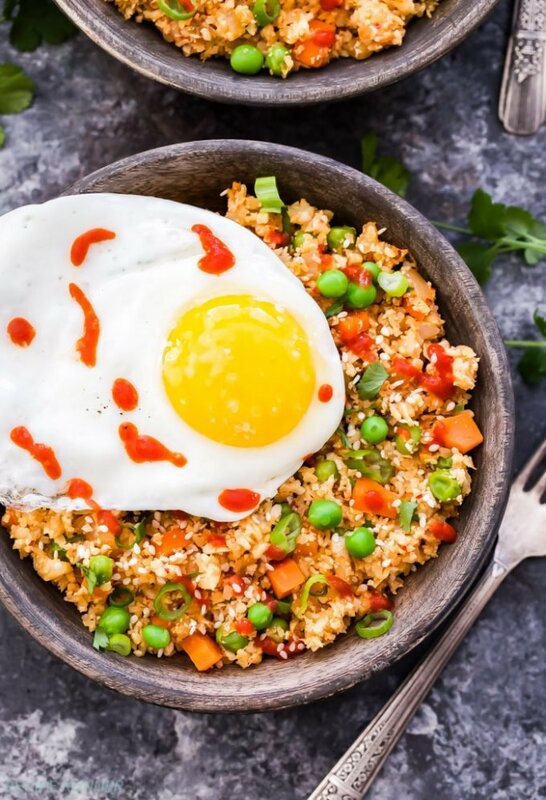 If you love fried rice, but want something a little better for you, then you have to try this Kimchi Cauliflower Fried Rice! 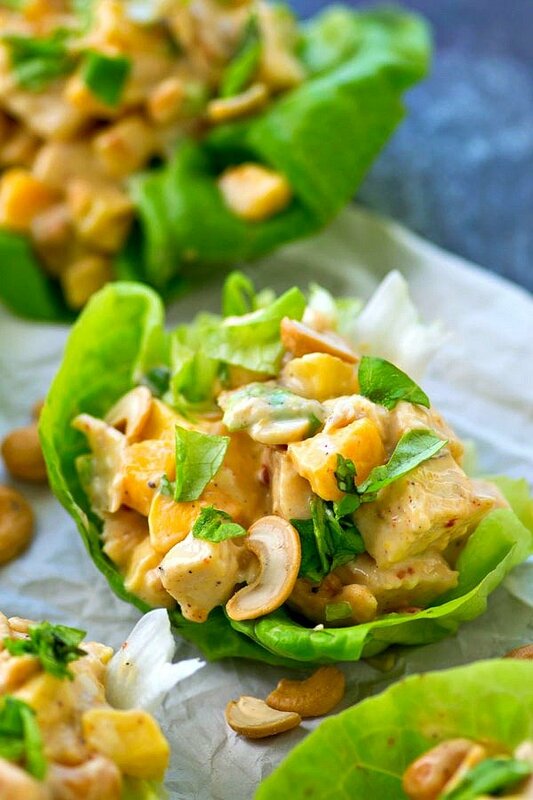 Low carb, gluten-free and an extra kick of flavor from kimchi! 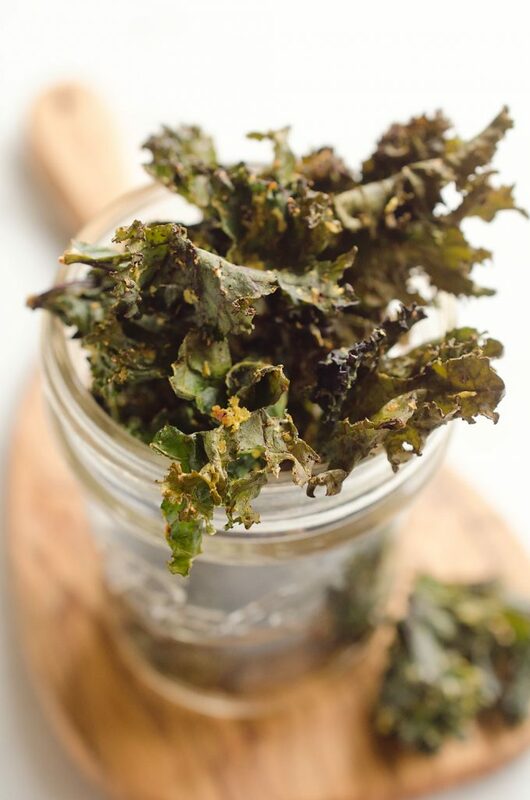 Spicy Kale Chips are beautifully crisp and loaded with bold chipotle flavor for a healthy 5 ingredient vegan snack. 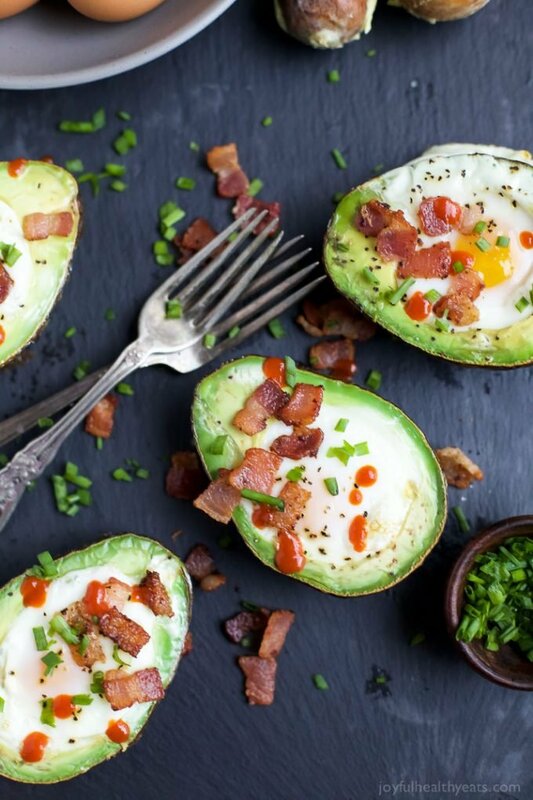 BAKED EGGS IN AVOCADO with crispy bacon and a Sriracha drizzle! 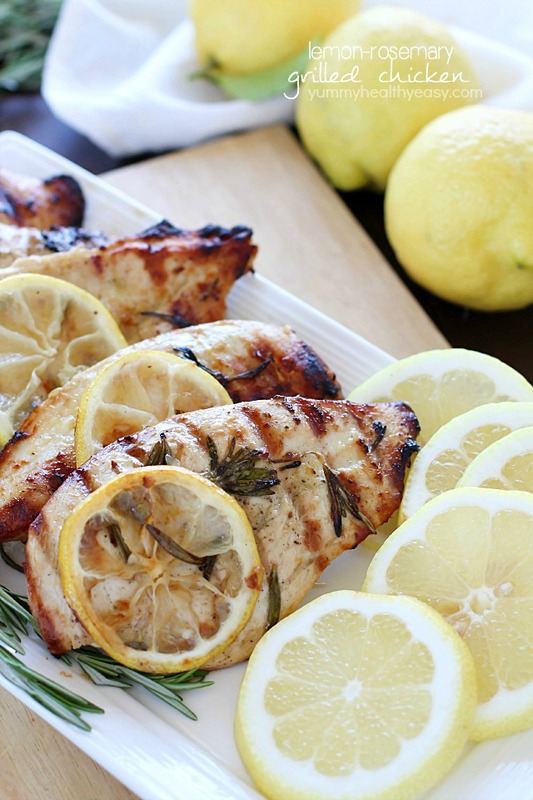 The ultimate Paleo Breakfast or brinner, high in protein & fiber and loaded with flavor! 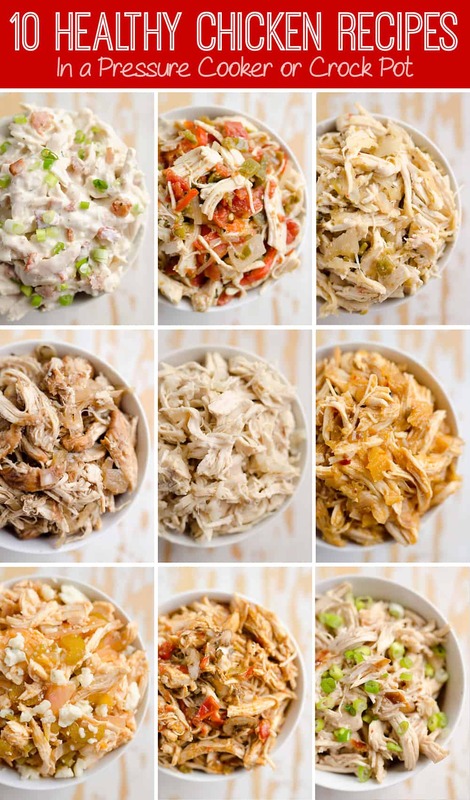 I guarantee you’ll be addicted after the 1st bite! 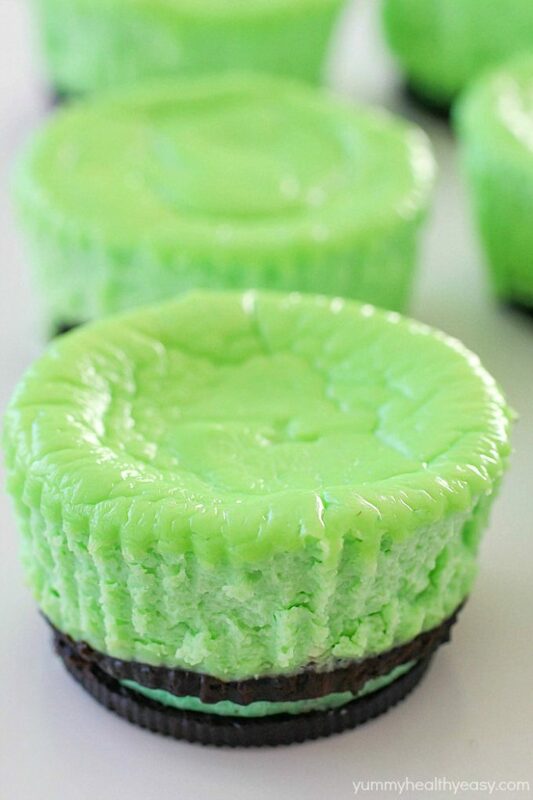 Skinny Mini Mint Cheesecakes with an Oreo crust! This lighter mint cheesecake recipe is super easy to make and has less calories than a regular cheesecake (only 148 calories per cheesecake!) 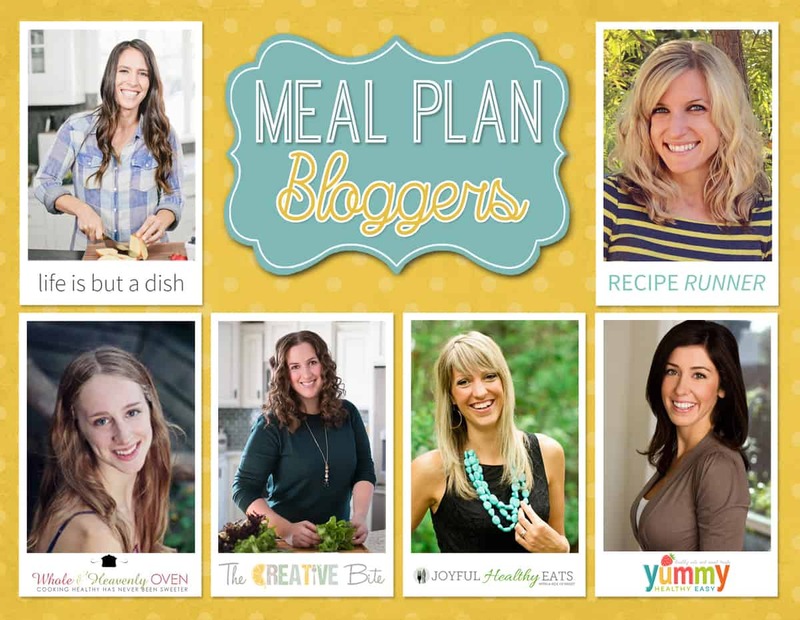 plus built-in portion control with the muffin size! Light & Fluffy Banana Protein Pancakes are a healthy breakfast with 5 simple ingredients that taste amazing and fill you up! 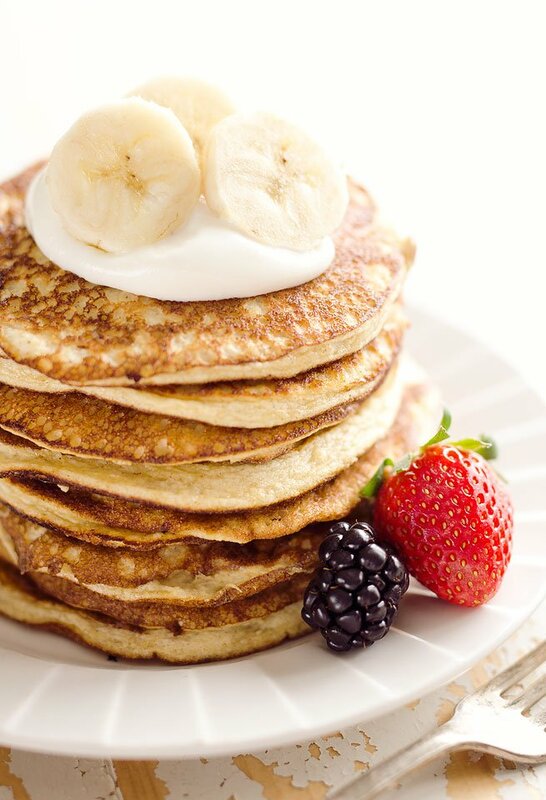 Egg whites, protein powder and ripe bananas make up these low-fat and low-carb pancakes, for a complete and wholesome meal under 200 calories. 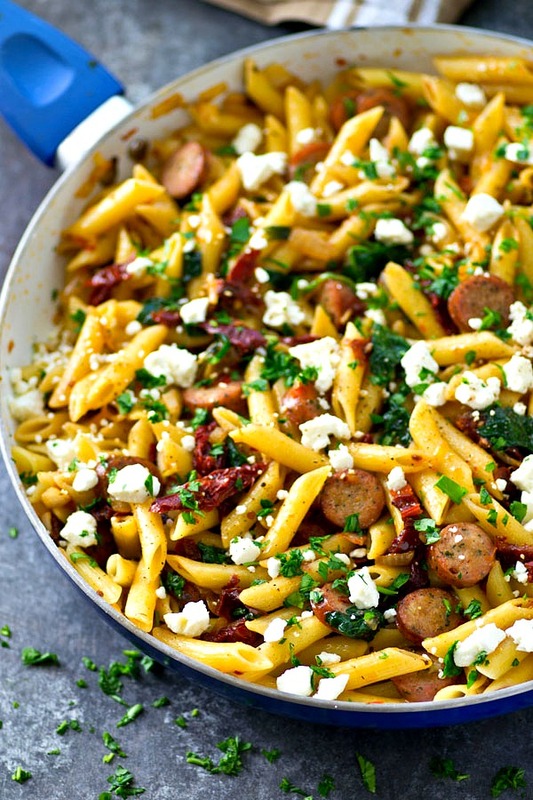 This loaded Sun-dried Tomato Penne Skillet is an entire dinner-in-one and so flavorful and easy to throw together, it’ll quickly become a weeknight dinner regular!